I have gone from preferring the US cover to the UK one. Tor has got this one just... right. Unlike the quick cut and paste job they did for Truthwitch (sorry, but it's kind of true) they managed to blend the woodlands and Scott Grimando's final artwork into an overall appealing piece. It's calming. Like the eye of the storm, before all hell breaks loose. The palette is softer, earthier and green. It makes me question whether the covers are going to continue on with this softer tone or not. Or, is Bloodwitch going to be bolder? I'd describe these books like a turning wheel, Dennard's protagonists shifting to focus and have drive via another character. Windwitch moves from Safiya as our leading character to Merik and his journey. Dennard set out to play with perspective, to show how there is no clean line between good and bad, between villain and hero. And she pulls it off. By introducing new points of views, our judgments are balanced- everyone has a perspective. No villain believes they are the bad guy. And I may or may not like Vivia more than Merik... My little misunderstood bean. 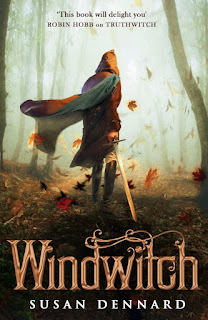 Windwitch stands as a book that showcases an author who keeps pushing, keeps moving to make what they write to be the best that they can write. This book, for me, never slumped. It kept momentum, kept me turning the page and had me rethinking about my views. 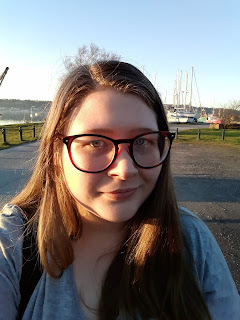 I just want to put this out there, but not only does this have one of my favourite angsty romances going it also may have slipped in some hints at a fantastic lesbian romance and a character who is trans. I shall mention no more, seeing as I could talk all day about this. I think something that really keeps me thinking about this book and coming back to every sequel, giving it my love and time is the feminine power that ripples throughout the book series. Every female character never gets jealous of those more powerful then them, They acknowledge it and respect their power, in fact it is often the men who seek the power. It's empowering to women readers.